It may be hard to feel Christmasy when instead of ice cold streets, shop windows misted up from condensation, and fireplaces crackling with log fires to keep out the cold, you have instead summer-like sunshine and beach life, but I think I can live with the change. 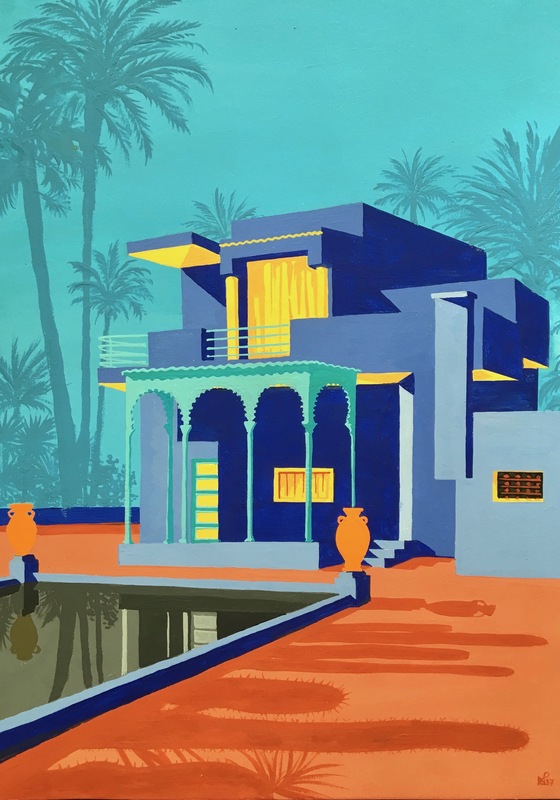 For here in Palma de Mallorca, my new home town, we have been blessed with incredible December temperatures, and this past weekend, there was not a single cloud in the sky nor a breath of wind to make anyone think of Winter. In fact the weather was so good that for most local residents, Christmas wrapping was left to one side, and enjoyment of the outside was top on the agenda. Amongst those enjoying the amazing conditions were these beach volleyball players. Stripped down to their shorts, enjoying the unseasonable heat on the beach immediately adjacent to Palma, these players not only made for an iconically summery sight, but their location meant that any photograph was bound to be dazzling. And this photo, taken in a split second as one of the players leapt for the ball, is certainly the money shot and deserved a Daily Norm post all of its own. 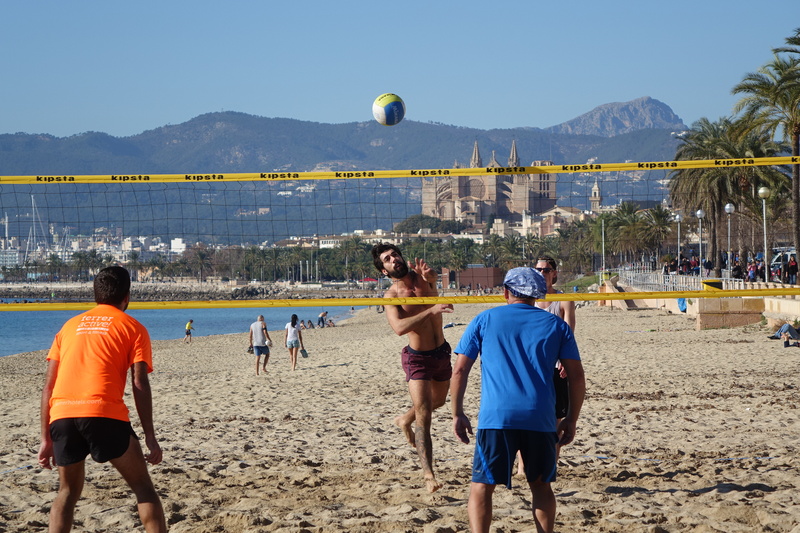 Not only is it a spectacular shot, with the incredible view of Palma Cathedral immediately behind the player frozen mid-play, but it is also the very epitome of a summer’s day. Would you ever have guessed that this was taken 4 days before Christmas? It’s a Winter weather change I can well get used to.